Physiotherapy for humans is a well established principle of medical treatment. Equine Physiotherapy or Animal physiotherapy in general is a developing profession and can provide a high level of care and follow up treatment for animals in the same way as it does for human patients. Physiotherapy for large animals is increasingly in demand with pet owners seeking out treatments where they can see positive, progressive results delivered by highly trained professionals and be involved in the care process themselves. The use of a prescribed home exercise plan allows owners to be involved in the delivery of the physiotherapy program. Simple changes to current exercise can make a big difference to your horse, targeting specific muscle groups and still having fun with your horse. No one likes to take pain relief medication on a long term basis and owners feel the same about their horses. Using physiotherapy techniques such as electrotherapy and biomagnetics can help improve blood flow to affected areas, improve muscle tone and reduce the need for medication. FootFalls uses the combination laser and ultrasound equipment alongside the biomagnetic therapy pads to treat those horses who will benefit from these techniques. 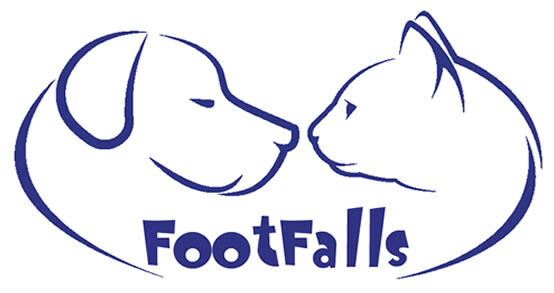 FootFalls therapists are qualified and experienced human physiotherapists and we aim to provide the same high level of care for your animal as we would for you.